Hi folks! How are you doing? It feels like a red kinda day, so I wanted to show you awesome new one from Cirque Colors called Doyers. This is the February addition to the Metropolis collection, I showed you two others from the collection a while ago. I'd call this a cherry tomato red crème, bright and on the edge of being orangey. Excellent opacity, kind of thick but very easy to apply. Two coats here. One more interesting tidbit that I didn't really notice with other Cirque's I've tried, but I've since confirmed it with them all, they smell like essential oils! I knew Cirque used them in their polish but I didn't think of them as being scented. I think the main oils they use are sage and lavender. I find the scent soft and pleasant and it makes the polishing experience almost seem spa-like :) You can purchase Doyers starting February 1st on their website www.cirquecolors.com for $13. What do you think of this classic red? 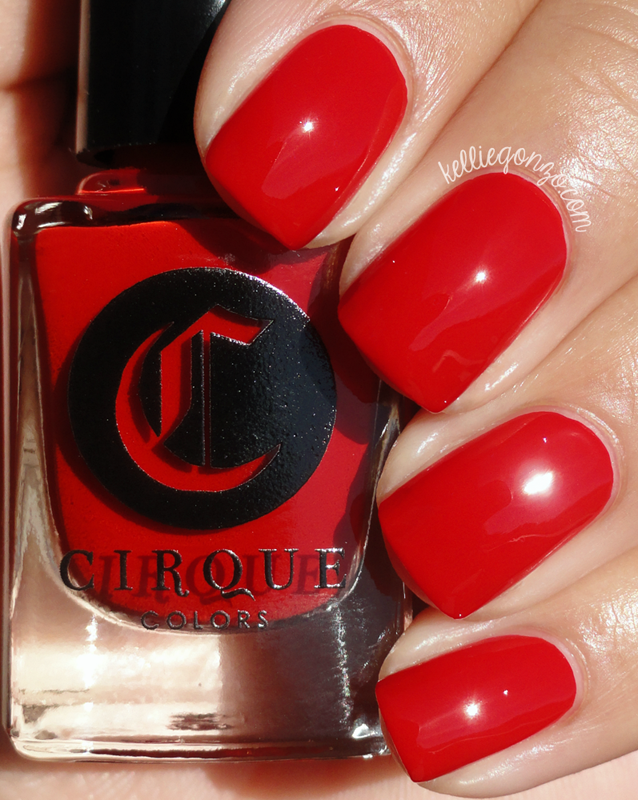 Do you like Cirque Colors?